The only way (at least officially) to install applications on Android devices is using Google Play . Although you already know that in another article we have talked about Aptoide . The problem with Google Play Store is that it requires an account to download applications. The problem comes when we do not have one, of course. 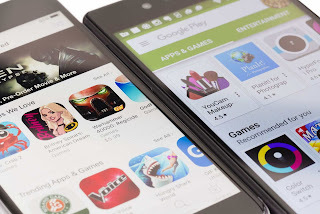 There is a way to install apps without google play account and you will see it in today's article. Android allows us to install applications using APKs . The first step will be to eliminate this restriction through the adjustments. In most devices is like this: go to "Security" (or similar) and look for a box that says "Unknown sources " or " Apps of unknown origin . " When you're there, activate the option to install the apks you want . We enter Google Play through your website, not the application. You search for the application you want to install and enter the link in question. Now we have to go to the URL and choose the next part " = and &" (without including them). To see how it is done, we will do it with the WhatsApp app. We see that the URL is https://play.google.com/store/apps/details?id=com.whatsapp; you stay with com.whatsapp. We enter APKPure.com . You go to the first frame and paste what you just copied. You click on the magnifying glass icon and select the application . Click on Download APK to start the download. We execute the file that we have downloaded and we will have finished. With that, everything would be ready and prepared. Easy, right?